MORE than half-century ago, Goh Teck Koon became a nurse at a time when it was almost unheard of for men to join the profession, and when it did not have the best image. But he did not care. It did not stop him. Hearing about Mr Goh’s first brush with nursing, it is almost a surprise that he decided to stay working in healthcare for more than half a century. Today, he remains a role-model although he retired in December at the age of 75 after 54 years in the nursing profession. His final role was to teach the next generation of nursing professionals as a clinical educator. 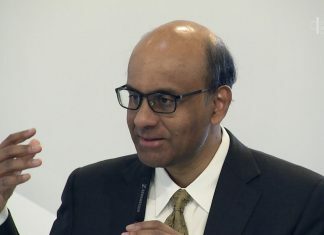 But Mr Goh told Channel News Asia he will not be turning his back on healthcare. CPR training mannequins look set to continue to be more a part of his life than relaxing walks in the park. “I’ll continue when I retire, I will do a bit of auditing for our council, and also some of these private companies will ask me to teach because I am a chief instructor,” he said. His exemplary work is definitely appreciated. 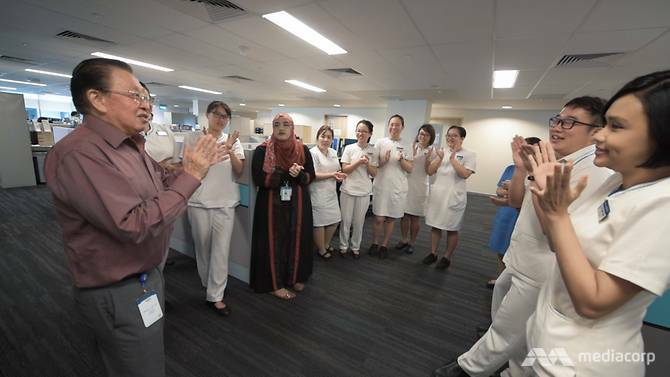 The dozens of farewell cards left on his table at Changi General Hospital (CGH) and the legacy he leaves behind show that his colleagues – and the profession to which he has dedicated his life – will surely miss him. Now he’s a little more relaxed and his weekends will be spent on giving refresher lessons to doctors from private clinics, as that is when they have more free time. ‘Goh’ for it: There is nothing so nice as nursing.